I never realized the work the two of them had to put into decorating, but I’m glad they did it. Now that I’m grown and have Adler, I want him to experience Christmas the way I remember it. 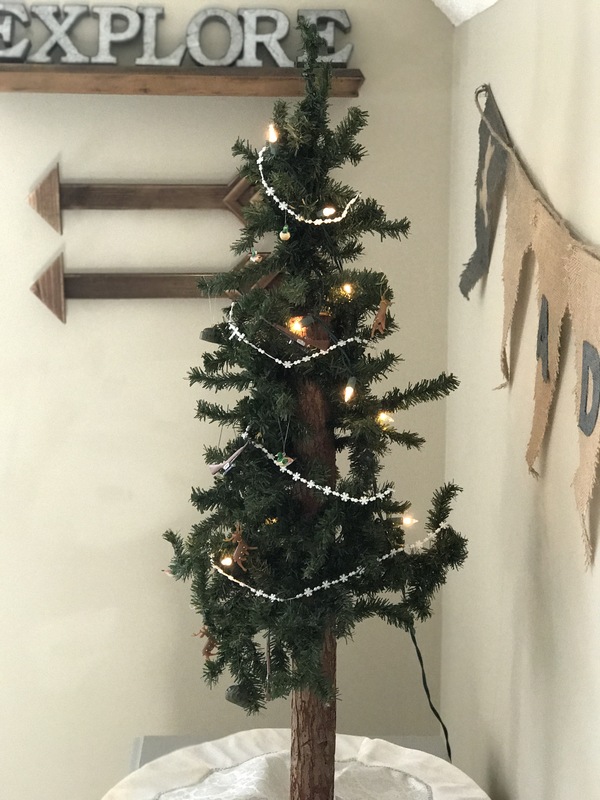 We didn’t get too crazy with decorations this year because our house has been an ongoing project, but we got a little festive! 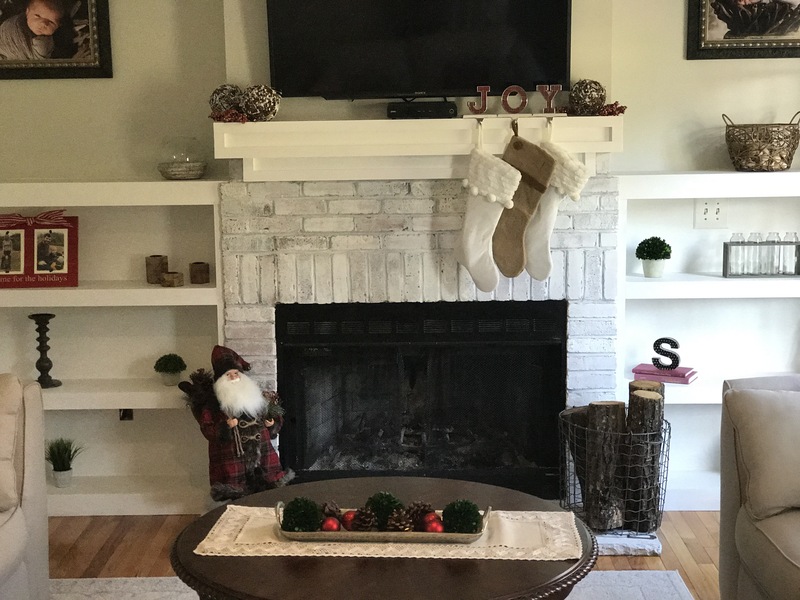 Here’s some decorating tips and a look into our cozy little home 😊. I like to pick a theme and try to carry it out through the house. 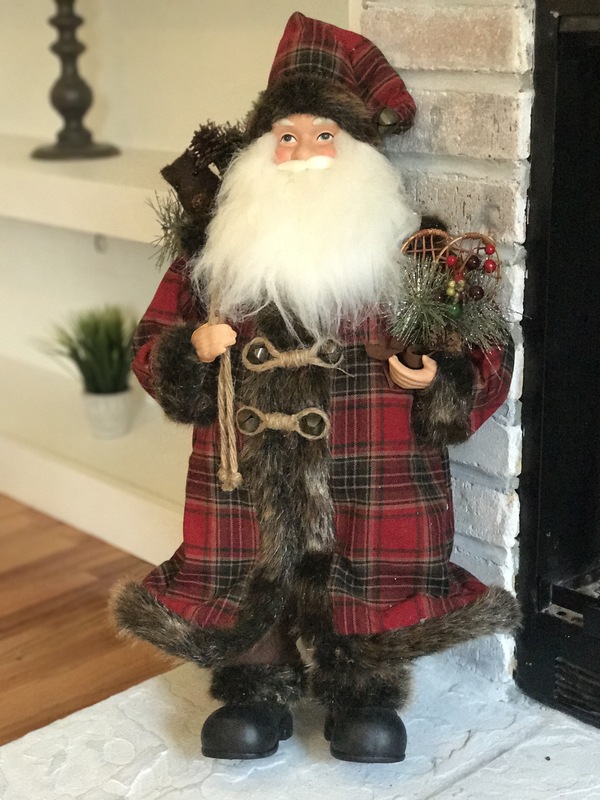 Plaid seems to be a big trend in Holiday decor this year. 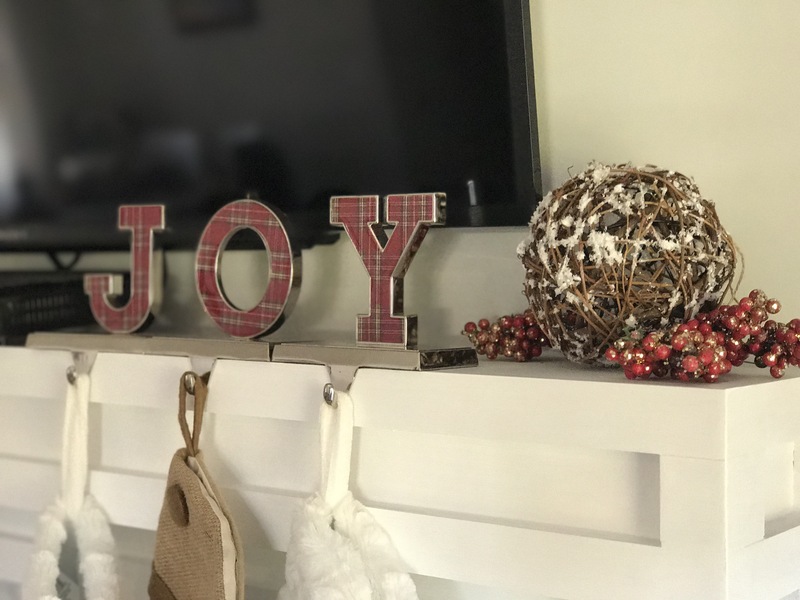 I brought a touch of it into my decor through Santa’s coat and the “joy” stocking hanger. 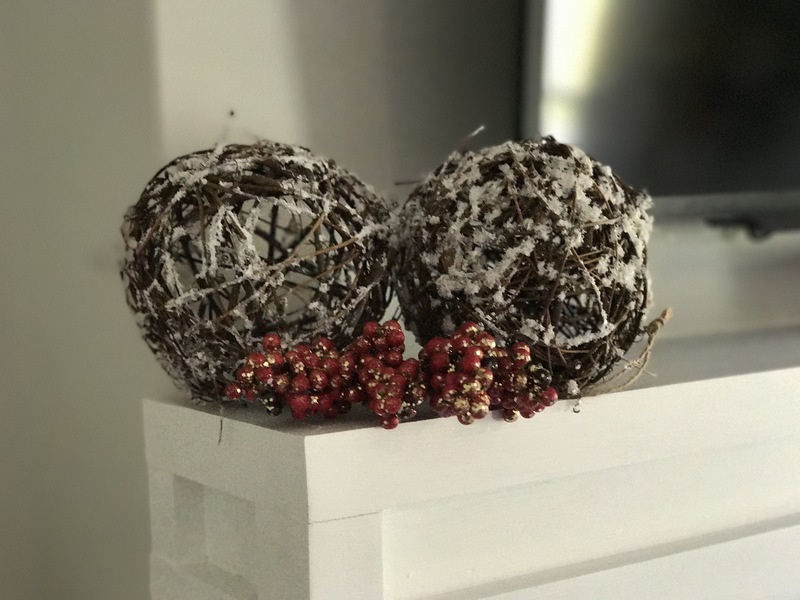 I also added a little bit of a rustic feel by mixing berries and pine cones. 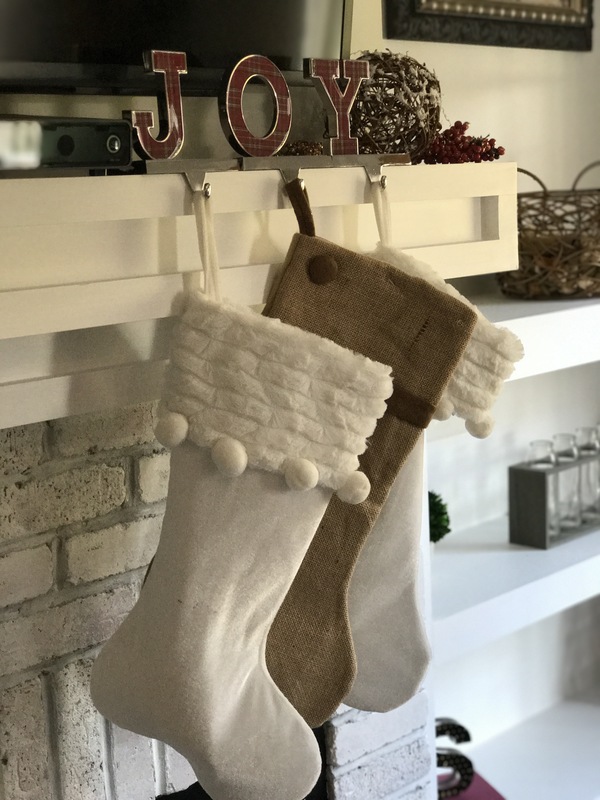 I bought these stockings, stocking holder, snow-covered decorative balls, and berries at Hobby Lobby Some things you have to just find in stores, they aren’t always offered online as well. 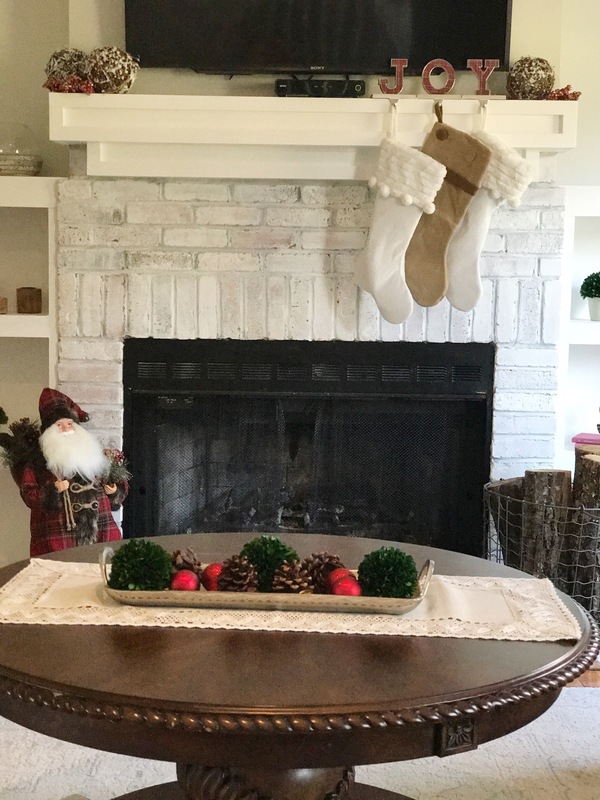 Try not to get too crazy when adding your Christmas decor. Sometimes I think less is more in this scenario. You can find this lace table runner at Bed Bath and Beyond. My centerpiece is a serving tray from Target. I added pine cones and red ornaments to give the effect of large berries. I also found the green topiary balls at Target! 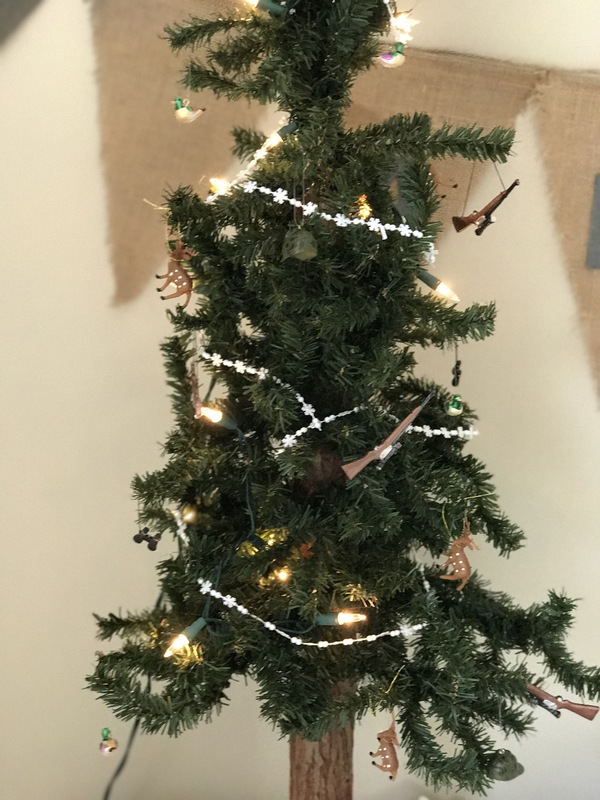 Another tradition my mom always carried out, was giving us our own mini trees to decorate in our rooms. I had to get Adler one for his first Christmas. Hobby Lobby has tons of themes to choose from in a section called “my little christmas”. 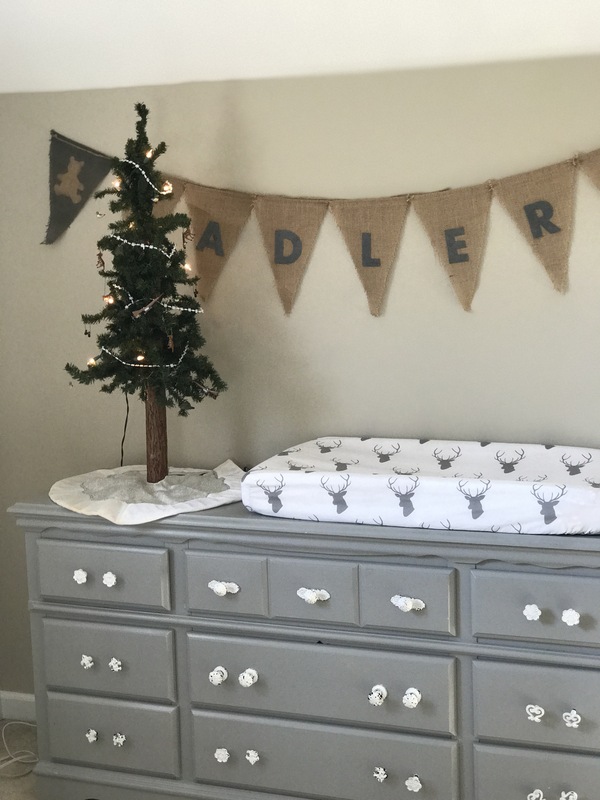 We went with a duck and deer hunting theme since that’s what dad is all about, and it goes well with his woodland nursery theme. I found Santa at Michael’s. You can get a similar one here. I made this wreath at Mountain Rose Vinyards. It was such a fun experience! I highly suggest spending the $20 to socialize and learn how to do this. 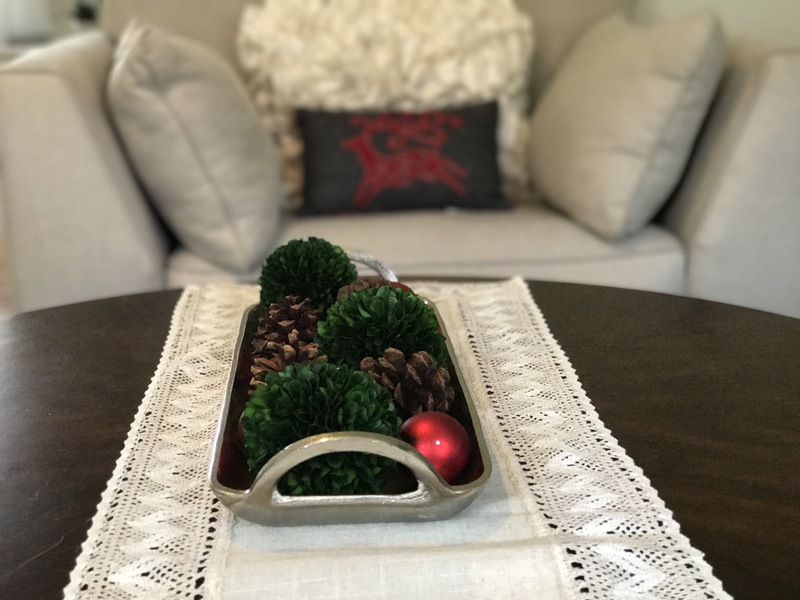 I added a burlap runner to our kitchen table for a rustic feel. 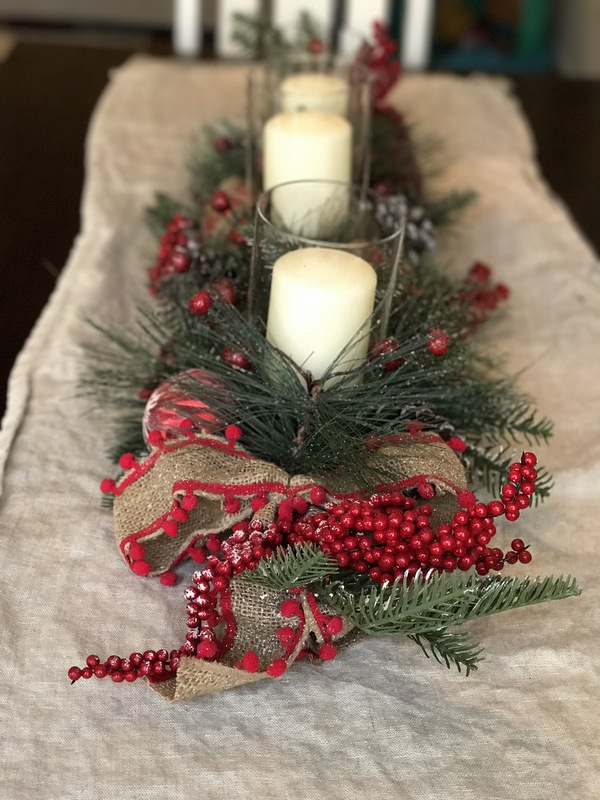 This table centerpiece came pre-made from Kirkland’s with berries and pinecones! You can find this wreath at Michael’s. 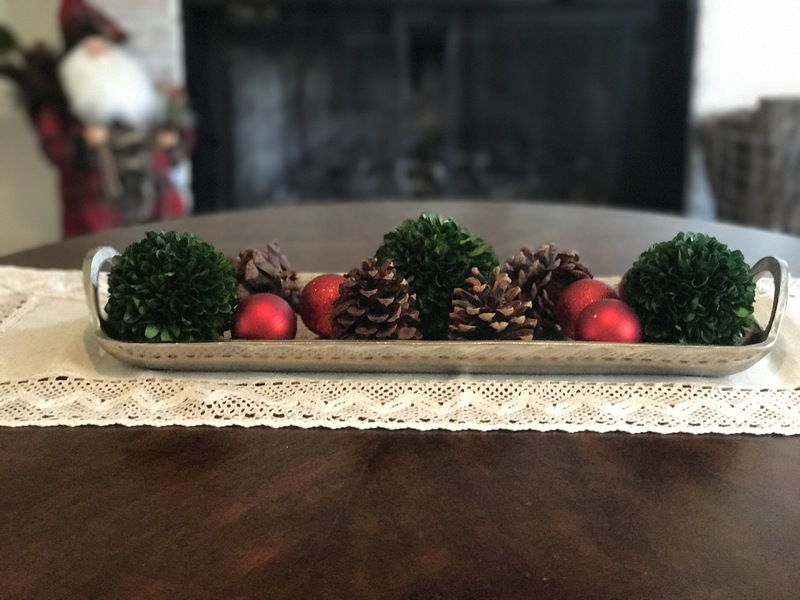 Again, I picked it because it has the pinecones and berries to go with the rest of my decor. I also got these pre-lit presents from Kirkland’s. They are on sale right now! 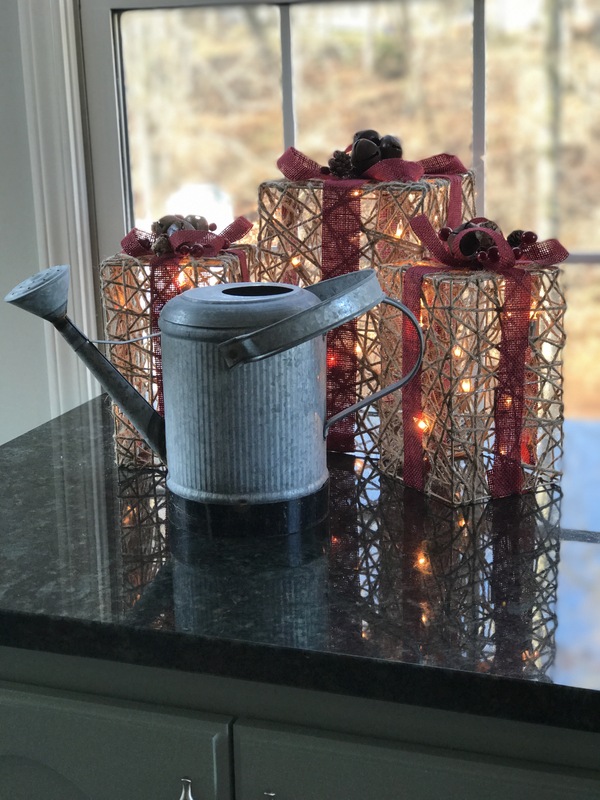 I love mixing some of my rustic decor in with my Christmas. And that’s a wrap for this year! You don’t have to break the bank to have a few pops of decoration. Now all we need is a fire and some chocolate chip cookies. I hope our home makes you feel as warm and cozy as it does us! Happy Holidays everyone.